Safety training can be boring. A snoozefest. Sleep-inducing. Even EHS professionals whose passion is safety often confess that they’re motivated because safety work is the right thing to do, not because it’s exciting. If you ask employees what they dislike the most about safety training, you’ll hear that it’s repetitive and unengaging. There’s an interesting online talk about why safety is viewed as boring. In it, an expert on the subject suggests that a lack of humor is a big part of the problem. And it doesn’t have to be this way. The presentation is a recorded version Tim Page-Bottorff’s popular conference session Humor in Safety. Tim often packs the room at national safety conferences and this recording is a great chance to view the session if you’re unable to attend conferences (or can’t get into the room because it’s already full). The presentation (which you can watch here) covers the ins and outs of how to inject humor into safety training. The goal is to provide more engaging training sessions for employees and increase active participation so that trainees will end up learning (and retaining) more info. One key point about group activities is that they themselves don’t have to be funny. This is one of those instances in which humor can be skipped over because the group activities achieve the same outcome as adding humor to the presentation. If you struggle to make safety training funnier than facilitating more group activities and discussions could be a useful alternative. One of the biggest questions that Tim gets asked about is what do you do about a safety topic that is considered dry or boring. As he says, the first thing a trainer should do is to confront the topic head-on. It’s important to recognize that many safety regulations are cumbersome and nothing can be done about it. However, it’s also important to recognize that a boring topic doesn’t have to cast a shadow over the entire safety training session. That’s why the webinar provides multiple different ways to make safety training humorous, engaging and relevant. If you can’t fit humor into the topic, it’s still possible to make changes to the training environment (including the room, handouts, props, etc.) and the way the instructor delivers the topic. One of the biggest ways to make a connection with an audience is to share a personal story, explain to them why things are so important and why you do what you do. Telling stories opens the door for other students to share their own stories and perspectives. It’s also much easier for many safety trainers to tell funny stories about themselves and incidents they’ve experienced then it is to come up with safety-related jokes out of the blue. Tim spends a portion of his humor in safety talk telling a few of his own stories as an example of how to establish a personal and relatable connection by telling a safety story or two. For safety instructors who are shy or feel like they don’t have any good stories, it can even be about things they’ve witnessed or movie clips they’ve found on the Internet. As this blog post on preventing slips, trips and falls demonstrates, scenes from pop culture are a great way to illustrate complex problems and get people laughing at the same time. It’s important to recognize that instructors play by far the largest role in the success of safety training. Safety folks who are reluctant to get up in front of a classroom, lack the skills or practice to properly engage employees in a safety class, or lack the passion for training workers are much more likely to deliver flat, boring and ineffective training. It also covers what to do about physical issues, like how to set up a break room, training class and do outdoor training. Other tips include angling tables focused on a center spot in the room (it increases safety retention rates by 10%) and how to deal with the “I’m safe enough” attitude. 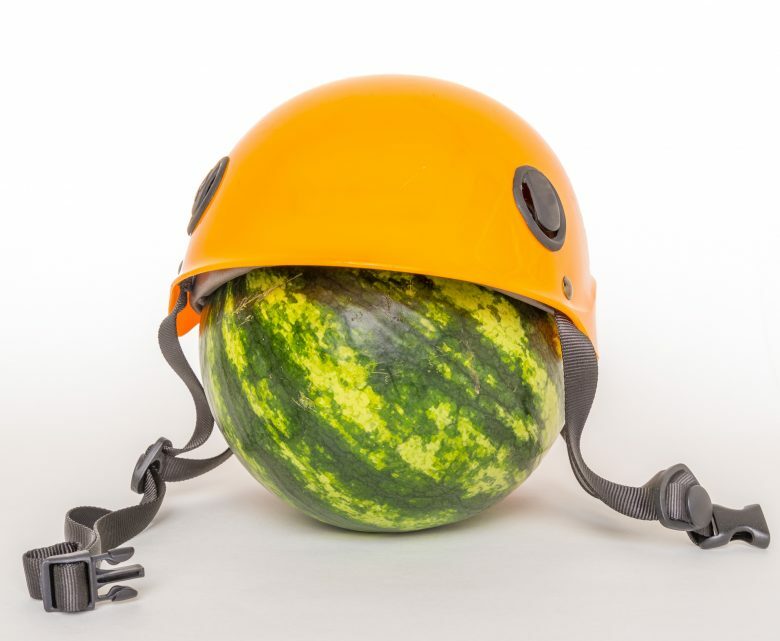 The humor in safety webinar is an invaluable asset to anyone who is responsible for creating or delivering safety training, as well as supervisors who run safety meetings. Watch the free talk here—it’s well worth your time. Safety presentations can be yawn-inducing torture—but they don’t have to be. Humor in Safety helps you make safety training more effective with practical tips on the importance of storytelling, how to be more relatable and reframing the training topic to make it more engaging.